Apex Acoustics was amongst the winners of this year’s acoustics awards for which Bruel & Kjaer played a sponsoring role. Apex Acoustics has been recognised at a trade body awards show celebrating the skills and ingenuity of UK-based acoustic professionals, working on national and international projects across a variety of environments. 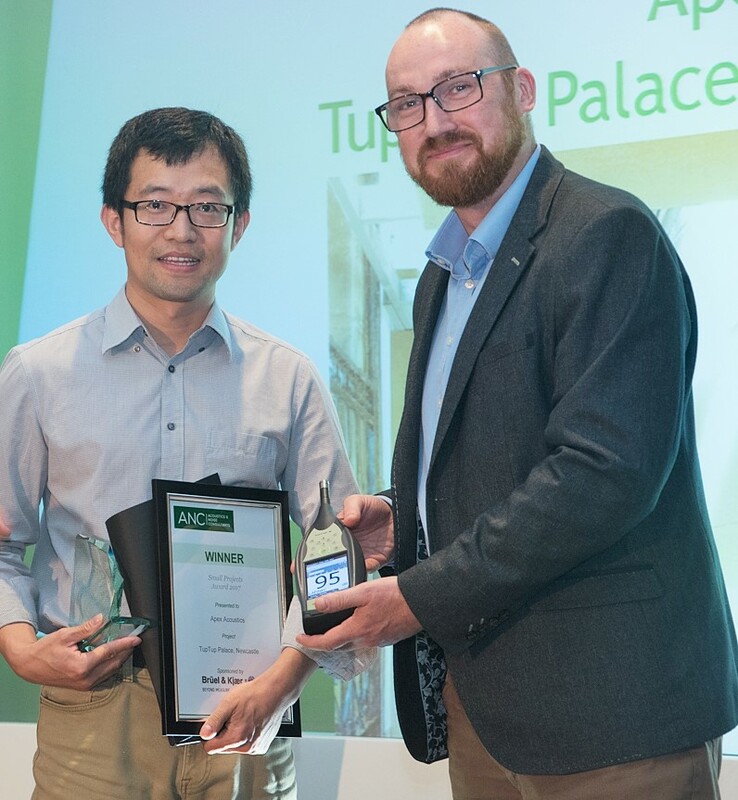 The Association of Noise Consultants (ANC) unveiled the winners of its acclaimed Acoustic Awards programme at the Hyatt Regency Birmingham. Promoting and recognising excellence among UK acoustic consultants, the awards showcased the skills of members across five categories. Apex Acoustics won two awards; ‘Environmental Noise’ sponsored by ANV Measurement Systems and the ‘Smaller Projects’ category, sponsored by Bruel & Kjaer. The awards were presented by James Woudhuysen, forecasting and innovation specialist and visiting professor at London South Bank University, with a distinguished panel of judges comprising academics and professionals, as well as representatives from the sponsor companies, scrutinising the national and international entries.